The 50 hottest FinTechs in Europe selected by our international panel. The FinTech50 was the first list in the world to recognise Fintech in Europe for innovation and is now a global top ten fintech organisation. We founded our annual list of 50 Fintechs "to watch" in 2012 as a guide to an emerging sector. Seven years on, it is selected by an international panel of experts and is seen as a guide to quality within a super crowded one. We've also created two further 50s: The FinTech50 Asia and, new for 2019, The Global Access to Finance 50. The FinTech50 2018, along with this year's Hot Ten and Hall of Fame, have received the biggest response in our history. View them here. The FinTech50 2019 is now on and our panel will be selecting this year’s 50 from over 2000 Fintechs across Europe. Stay tuned for the launch date. Research, white-papers, thought-leaders: a selection of FinTech-focused posts by our partners. Click any image to view its content - and discover the full suite here. 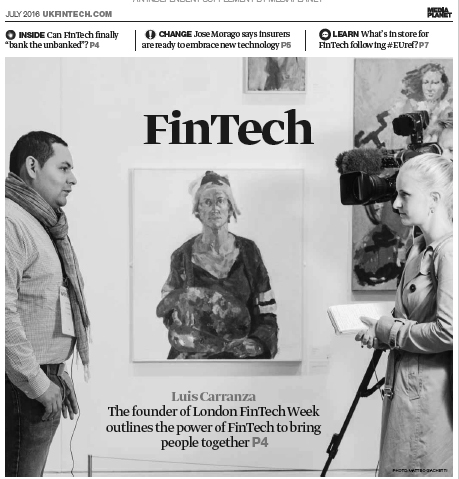 FinTech 50 The Tipping Point? June 2018: Selected from over 1800 FinTechs across Europe, this year's 50 FinTechs to watch were announced at Silicon Valley Bank's London HQ on 20 June. Jan 2019: When we launched the search for The FinTech50 2019 it generated the fastest and biggest ever response.